BSH readers are aware that I know nothing about jazz: let me state from the outset that I know less about improvised music. And this was improvised music – “without further ado I’m just going to start playing”. Deprived of my usual reviewer’s navigational aids (pick up on something in the title, latch on to something in the performer’s intro, compare with other pieces in the same genre, mug up something on Google) I approach this journey into uncharted waters with trepidation. 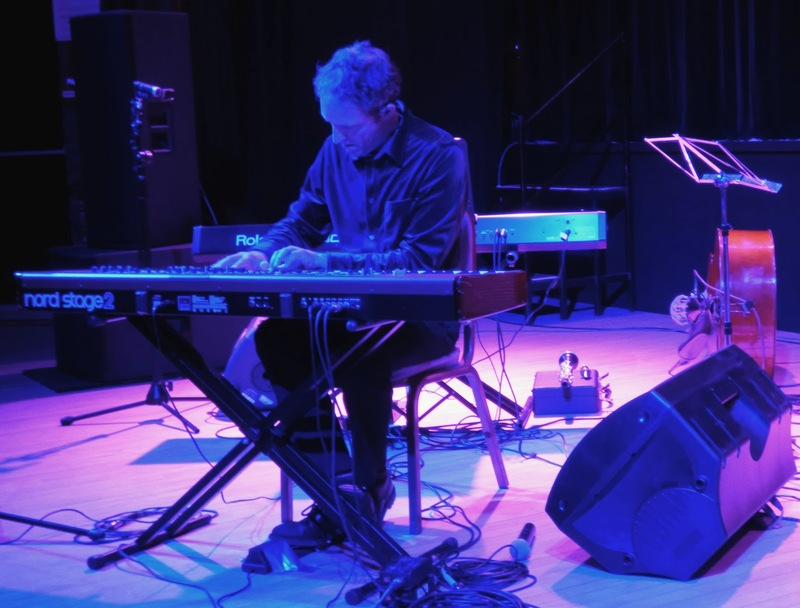 Sticking with the metaphor, advance publicity for The Manchester Jazz Festival where Paul Taylor is appearing in July, refers to his performances as “rhapsodic journeys that lead listeners through twists and turns…,” and I’d agree with that. We had two uninterrupted pieces of about 15 minutes each , both full of twists and turns prompting the question: “where is this going next?” and also – in the second piece particularly - “have we been here before?” The overall impression was jazz-like in inventiveness but predominantly classical in terms of sound, to my ears anyway. Both pieces were intriguing in the variety of sounds afforded not only by great dexterity (how many fingers has the man got?) but also by ingenious use of technology: there was a whole orchestra of effects in there from flute to strings and organ to vibraphone to harp. The volume built then faded unpredictably, sometimes with heavy echo making the bass notes palpable then dropping to the faintest of sounds like tinkling wind-chimes before building again in a series of runs, often with the performer’s left hand crossing over the right. The music was evocative: sometimes vaguely alarming (the second piece opened like jangling bells); sometimes whimsical and enchanting (the vibraphone sounding section in the second piece for example); often thoughtful and reflective in the quieter sections while some louder sections were like a joyous film-theme. Often it made me think of water in all its forms- always changing, never predictable and impossible to define. Old seafarers’ maps sometimes reported, in remote locations: “here be dragons” but, undeterred, they kept on exploring. I guess improvised music is like that for both performer and audience? I’m intrigued enough to keep exploring and both pieces were well-received by the wider audience. What a nice open and honest review. It must be jazz as it contains the element of surprise, many times over :) but shows just how accessible 'improvised music' can be.